TOKYO — It’s a slice of history that carries a sheen of glamour and a dusting of a fairy tale: The world’s oldest continuous monarchy, dating back to 660 B.C., boasts a royal seat known as the Chrysanthemum Throne and a princess set to marry a commoner. But the story of Japan’s monarchy has a problem that may seem from an era long past. The country’s male-only line of succession, combined with a dwindling royal household and an aging emperor set to abdicate, means that the royal family faces an uncertain future. The Japanese parliament voted Friday to allow Emperor Akihito, 83, to abdicate in the next three years. The popular royal figurehead signaled last year that age was a contributing factor in his desire to step down. His would be the first abdication since Emperor Kokaku did so in 1817, two centuries ago. But while Japanese lawmakers passed the milestone bill allowing for a one-time-only abdication, they also avoided the larger issue of opening up the line of succession to female members of the royal household — which currently only has 19 members, just five of whom are male. Instead, the parliament noted in an addendum that it would seriously consider whether to allow women in the royal family to retain their official duties after marrying commoners. 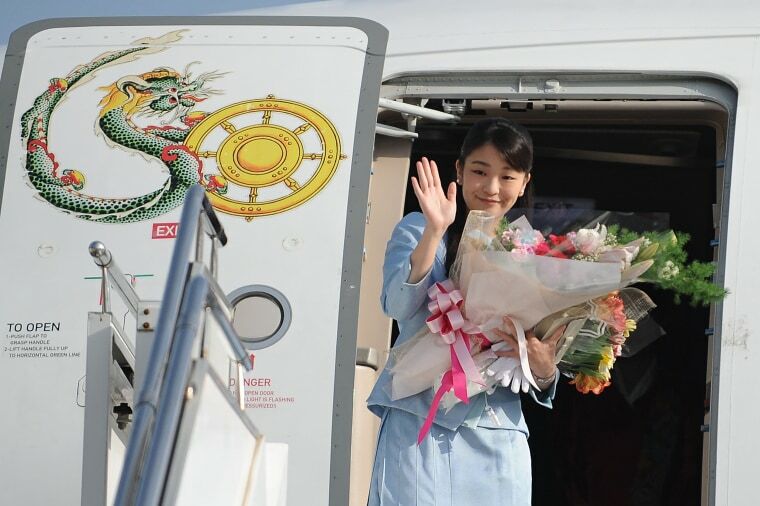 The resolution speaks directly to the issue of Princess Mako, who indicated that this summer she would officially announce her engagement to Kei Komuro, who she met as a university student. Under current rules governing the Imperial Household, the 25-year-old granddaughter of the current emperor would relinquish her royal status, as well as her official duties, by marrying a commoner. The resolution to reconsider the issue allowed Prime Minister Shinzo Abe to appeal to public sentiment, which generally supports opening the line of succession to women, while also not alienating his conservative base, which does not. "Having a stable imperial succession is a very important issue," Abe said on Friday. "The government will respect the addendum and continue with the examination of this issue." In May, a survey by the Kyodo news agency reported that 59 percent of Japanese people "supported realizing both a female emperor and an emperor of female lineage" while 86 percent support allowing a woman to assume the throne. "In terms of global norms and values, the fact that a royal woman who marries a commoner is cast out of the Imperial Household strikes many people in Japan and outside Japan as a very old-fashioned approach, totally out of sync with 21st century norms," said Professor Jeff Kingston, who specializes in modern Japanese history at Temple University's campus in Japan. Nami Morooka, 21, agreed with that sentiment. "I'm in favor of allowing female-lineaged royal families," she said. "I think we should have an imperial family that is more in line with current times. I don't think we need to be tied to old ways." "I'm in favor of allowing female-lineage royal families. I think we should have an imperial family that is more in line with current times." Currently, Akihito's sons Crown Prince Naruhito, 57, and then Prince Akishino, 51, are next in line for the throne. Naruhito is father to Princess Aiko, 15. After her birth, the government discussed potentially allowing female ascension to the throne, but the issue was set aside after the birth of Akishino’s son Prince Hisahito in 2006, according to the Associated Press. "Until he was born, [former Prime Minister Junichiro] Koizumi had already prepared legislation allowing for female succession because they recognized that they were basically looking into the abyss of no male heirs,” said Kingston. He added that the bill was hastily withdrawn after the announcement that there would be a new male heir, even though at the time public sentiment supported allowing for a female emperor. The birth of Hisahito doesn't ensure an uninterrupted line of succession, however. The young prince is third in line for the throne, presenting a major generation gap in the male-only line of succession. Fourth to take the throne currently would be his great uncle Prince Hitachi, 81. "It's so obvious that there are not enough imperial family members," Keiko Hongo, a professor of medieval history at the University of Tokyo, told The New York Times. "We should accept the reality. That is an unavoidable issue to be discussed." Mako and her 22-year-old sister, Princess Kako, as well as Aiko, are ineligible to succeed to the throne — despite being descended from direct male heirs of the first Emperor Jimmu. "In terms of looking into ways to deal with the decreasing members of the royal family and also of the Imperial succession itself, we plan to proceed with having a wide range of debates, including the examination of female royal households," Deputy Chief Cabinet Secretary Koichi Hagiuda said in a daily press briefing Friday. Japan did not always have a male-only line of succession. The Japanese imperial throne theoretically can be passed on to any male or female — as long as they descend in direct male line from the first Emperor Jimmu. Before the Meiji Restoration of 1868, eight women served as female emperors. They did so for a variety of reasons, including postponing succession disputes and serving in place of a male heir before he came of age. However, that changed in the mid-19th century, when then-leaders of the nation imported the Prussian model of imperial succession rules and princesses were explicitly excluded from succession. But with the country now facing a shortage of royals to carry out official duties — as well as the dwindling number of male heirs to succeed to the throne — the issue is once again on the minds of many. While Abe's base and more conservative factions of the population oppose allowing women to expand their duties and ascend to the Chrysanthemum Throne, many feel the moment has come for Japan to catch up with modern times. Arata Yamamoto reported from Tokyo. Joy Y. Wang reported from New York.